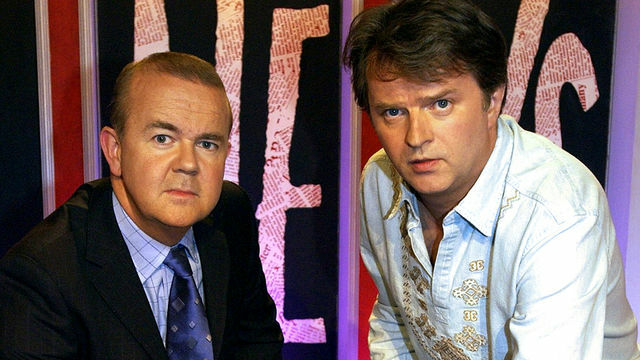 The BBC have announced the first of nine guest hosts who will be joining regulars Paul Merton and Ian Hislop on BBC One’s Have I Got News For You when it returns on Friday nights at 9pm from 13 April 2012. The first episode will be hosted by Stephen Mangan, while Grace Dent and Miles Jupp appear as guest panellists. New to guest hosting will be Alastair Campbell, best known for his work as Director of Communications and Strategy for Prime Minister Tony Blair between 1997 and 2003. He will make his much anticipated debut as guest host in episode eight. Jo Brand will return to host the second episode and her eighth appearance as host; Damian Lewis star of Homeland will oversee episode three; Top Gear’s Jeremy Clarkson will host episode four and Pointless presenter Alexander Armstrong will host episode five, a record-breaking 20th appearance as guest host. The BBC will announced the three remaining guest hosts – including at least one making their HIGNFY presenting debut – as soon as they are confirmed. The series continues on Friday nights until 8 June, with the extended repeats, Have I Got A Bit More News For You, screening on BBC One and BBC One HD on Sunday nights.